Smoked Prime Rib | DidjaEat? Every year in July we have a bbq for my grandparent’s anniversary. My uncle lives in Parkwood and has the biggest yard so we all troop up there, get bitten by mosquitos and eat whatever he decides to BBQ. This year we had to wait to have the BBQ because my babci spent most of her summer bouncing back and forth from Pennsylvania Hospital and the rehab (and no, not for her raging coke problem). She is a whole lot better now (babci….now with bionic knees!) so we made the pilgrimage. Ron likes to BBQ like Oprah likes to give stuff away. I was expecting the usual chicken, burgers and Polish Ribs (kielbasie butterflied on the grill), but he did something really different: he smoked, on his grill, a Prime Rib. I didn’t even know you could do that, but he did. It was a tad too smokey tasting for me, but besides that, the meat was awesome. Here is is sitting in the pan right after he cut it. Some people like prime rib super red, but I thought this was perfect. It was really super juicy and tender. 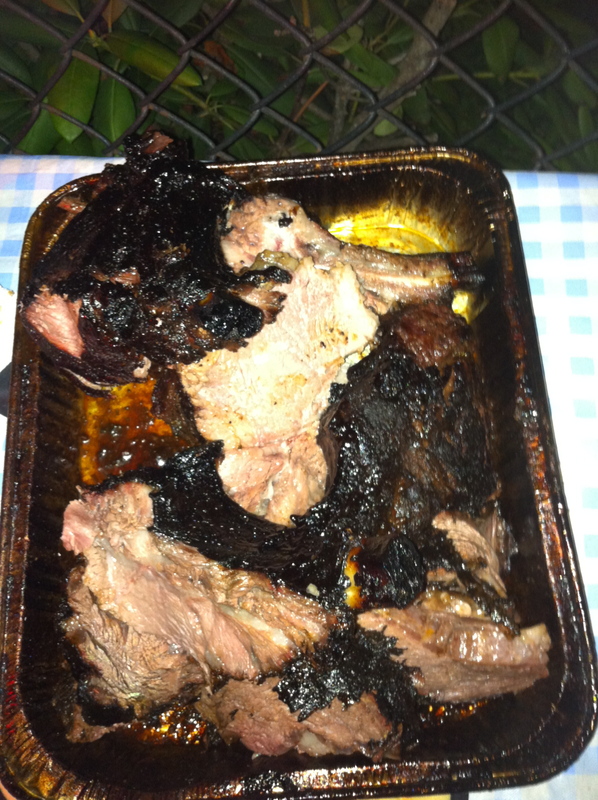 The charred bits were delicious too. Btw, how many years have they been married? 62. I do believe that 62 years of the Smoked Prime Rib anniversary. True Story. 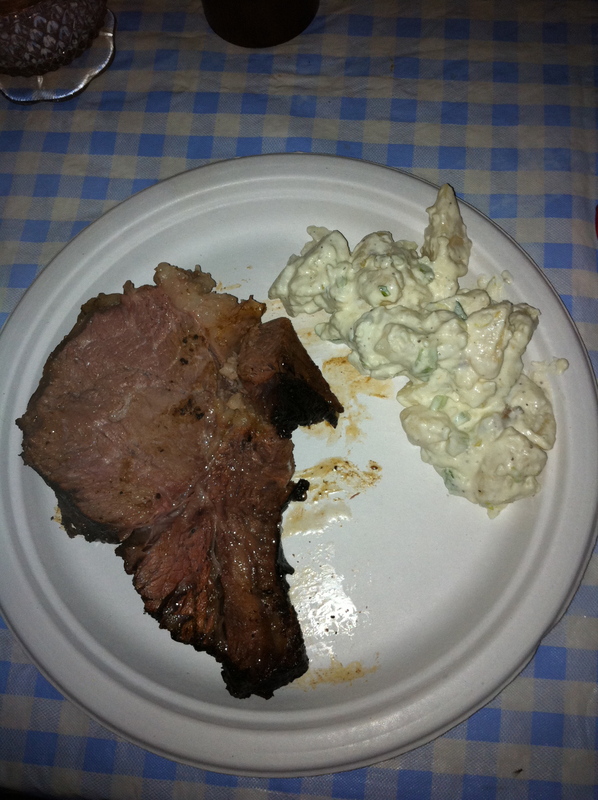 Posted on September 29, 2010, in bbq, home cooking and tagged czerw's, kielbasie, smoked prime rib. Bookmark the permalink. Leave a comment.